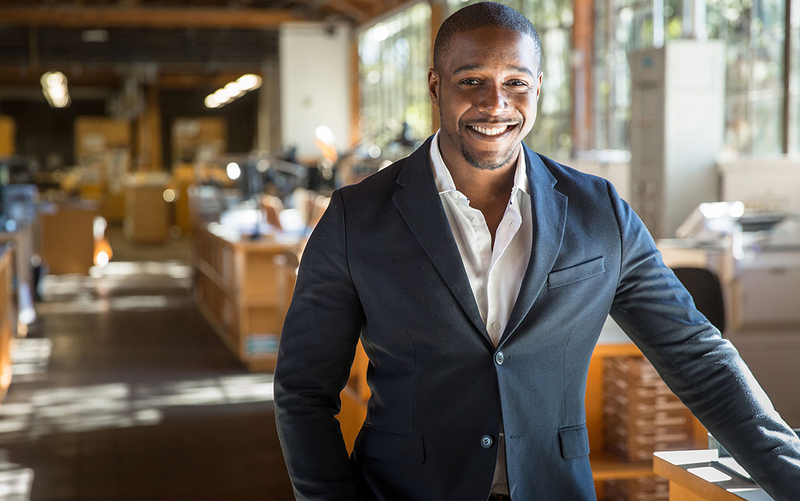 When it comes to small businesses and startups, the economic development corporation and the African American Chamber of Commerce agree that it's best to think entrepreneurially. Home Small Business Is Your Start-up Actually a Small Business? Small businesses come and go. Yet, before the auspicious beginning or untimely demise of any business, millions of entrepreneurs across the country often grapple with what type of business they actually have—a startup or a small business? The distinction may, ultimately, break or make a business, say some small business industry experts. According to the U.S. Small Business Administration, the definition of a small business is an entity with 500 employees or fewer. Entrepreneurs often use the terms ?small business? and ?startup? interchangeably?a valid and justified designation to some, and a sore spot and bone of contention for others. ?It’s acceptable to use the terms alternately,? said Hosea Johnson, the owner of two small businesses—Johnson Associates Systems—an orthotic and prosethic company based in Turnersville, NJ–and We Simplify the Internet (WSI), an information technology company. ?Any business in its infancy stages can be considered a start-up.? Johnson added that the specific verbiage and phraseology of a startup and a small business is sometimes determined by the initial size of the business and its future revenue goals. ?It’s acceptable to use the terms alternately.? Johnson said it is acceptable to use startup and small businesses synonymously. However, he notes that a business owner is different from someone being self-employed. ?A business owner has employees that are working on the owner’s behalf, and a self-employed person is working for himself,? he said. Johnson added one of the biggest challenges for many businesses–start up or otherwise–is the ability to align themselves with strategic partners like the African American Chamber of Commerce, the Hispanic Chamber of Commerce or any of the other small business advocacy organizations that will connect them to various resources, opportunities and useful information. Beth Filla, a training and technical assistance officer at the United Countries Economic Development Corporation (UCEDC)- a non profit economic development corporation based in Trenton, NJ said the distinction between startup and small business can be ambiguous. ?The terms ?start-up? and ?entrepreneur? are used more with businesses that will likely grow quickly?often with the intention of selling or going public,? she said. Filla added that there are thousands of people running their own micro-businesses?such as teaching private yoga and art classes; hair care; child care; or selling items on Craig’s List. ?All of these are small businesses, and the nuances of language are there to help us get quicker understanding,? she said. ?I liken a start-up to a lot of activity in the tech sector.? However, some entrepreneurs readily dismiss the notion of anyone calling their business a startup. ?Calling a small business a start-up is practically an insult as if it’s small and should get bigger in the future,? said Joe Silverman, owner of New York Computer Help, a booming computer repair and IT business based in New York with dozens of clients in New Jersey. ?A small business may remain small for 40 to 50 years due to its make-up, business offering and other factors,? he said. Silverman started the business in 2000. To that end, startups in the IT industry tend to be plentiful, frenzied and generally are not established for the long term, said Avis Yates Rivers, CEO and owner of Technology Group Concept International (TCGI), based in Somerset, NJ. Rivers’ multi-million dollar cloud-based asset recovery and software asset management company is one of only a handful of minority and women owned business enterprises (MWBE) in New Jersey. ?I liken a start-up to a lot of activity in the tech sector,? she said. ?Startups are not necessarily intended for long-term growth and development, but rather acquisition.? Rivers said small businesses generally cover the gamut of different types and structures of firms with fewer than 100 employees and revenues less than $25 million. Rivers said establishing long term goals and specific objectives should be a priority for any entrepreneur of a startup or small business. ?Think about where you want your business to be in five years,? she said. Lastly, while the debate of whether it’s acceptable to use the word start-up or small business will likely continue for years, the key to being a successful business owner?startup or otherwise is simple–think and act entrepreneurially. ?. ?I have built my own factory on my own ground….Don’t sit down and wait for the opportunities to come; you have to get up and make them….I got my start by giving myself a start. ?